I've been going crazy for coats with leather detailing. Whether it's the sleeves or the pockets, i need something utilitarian that mixes leather and canvas. 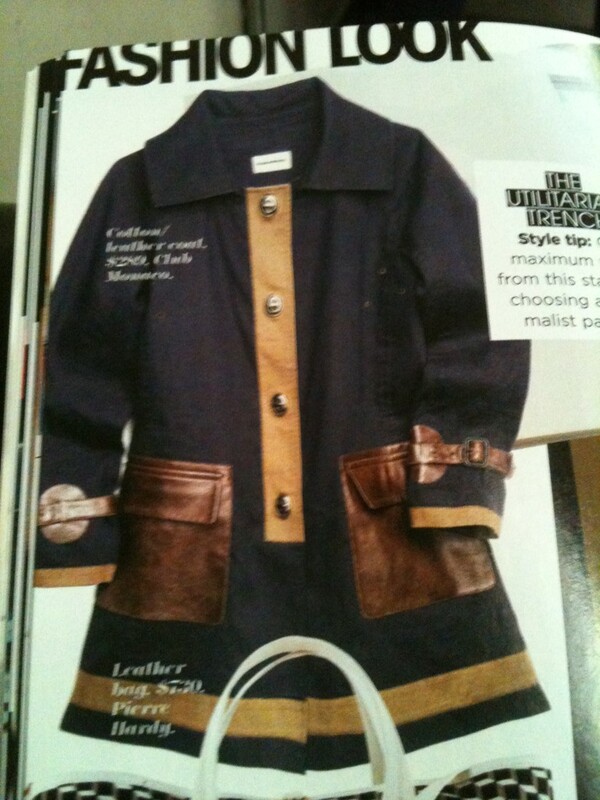 I found this Club Monaco coat in a January magazine (but i can't seem to find it online! ), which means it must hit stores soon... i have a feeling it will be mine! That jacket is simply brilliant. LOVED your speech/comiserating on the dust point ;) I unfortunately, don't wear all my shoes enough to completely avoid the settling of dust, so ill have to stick to the good ol fashioned shaking them off from time to time and cleaning the shelf lol! that coat is sumply amazing! too bad there is no club Monaco here in Europe but thank God for shopbop!